Following shortly on the heels of Leggingsgate, United Airlines is under fire again for the disturbingly rough handling of a passenger on flight 3411, from O’Hare International Airport to Louisville on Sunday. The flight was reportedly overbooked, and United wished to board four employees. After attempting to bribe people into giving up their seats, they had a computer randomly select people to be deboarded. While two agreed, one man who was selected along with his wife refused to give up his seat. 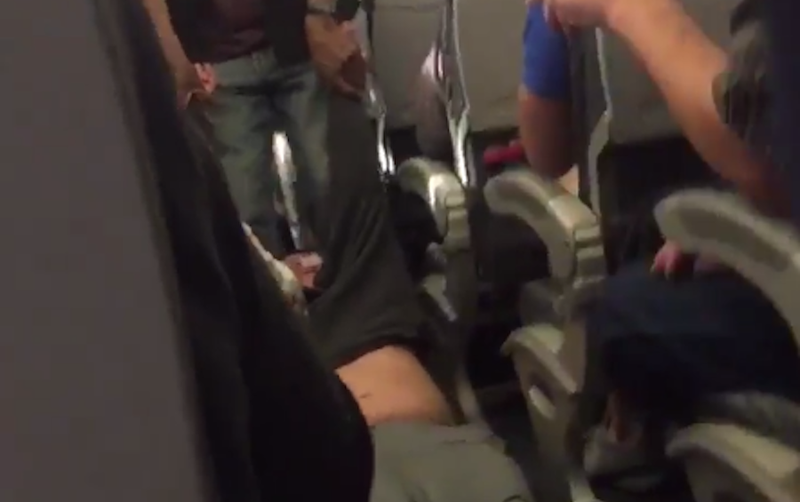 The footage above, taken by Jayse D. Anspach, shows the man being dragged screaming from his seat by police. After falling forward, he appears to hit his face on an arm rest and looks stunned. The officers drag him down the aisle. The flight was reportedly delayed two hours, and the condition of the injured passenger is presently unknown. Jezebel has contacted representatives for O’Hare Airport for comment and will update if they reply.